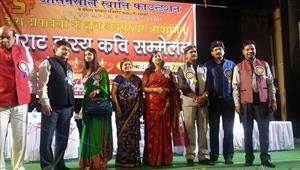 State Bank of India Officers' Association had organised Hasya Kavi Sammelan on the occasion of their annual celebration. 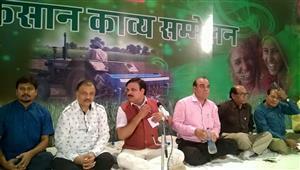 State Bank of India Officers' Association had organised Hasya Kavi Sammelan on the occasion of their annual celebration. 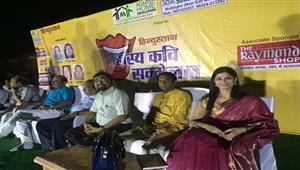 Kavi Shambhu Shikhar, kavi Aaskaran Atal, Padmashri Surendra Sharma, Mahendra Ajnabi and Sita Sagar were invited to cherish this function with their package of hasya Kavita and laughter bombs. 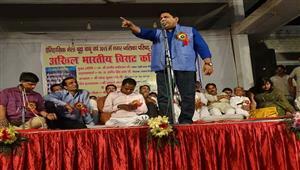 Shri Surendra Sharma is the all time hit Hasya Kavi and people likely enjoy his every performance. He is ruling over audience's heart since last few decades. 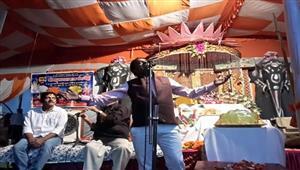 Kavi Shambhu Shikhar is turning into youth icon. Certainly, he is the most famous Hasya Kavi in India. People were enjoying him to the fullest. Aashkaran Atal is famous for his logical humour along with laughter. His poetry is blended with a message that makes the audience to think. Kavi Mahindra Ajnabi comes with an intellectual satire polished with humour that depicts the common aspects of life. 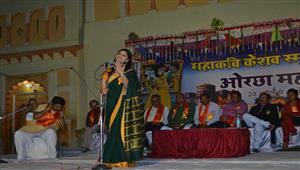 Sita Sagar touched the audience with her melodious voice. The overall Kavi Sammelan turned to be amazingly good.